Three Rivers Press (CA), 9780307396372, 310pp. Believe the hype. I killed myself. 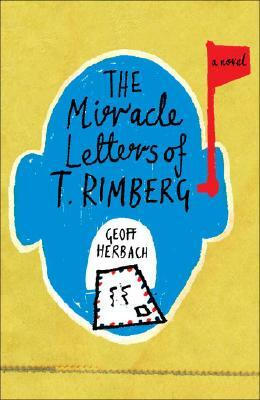 Having destroyed his life, the suicidal T. Rimberg strikes out on a journey through history and geography. From Minneapolis to Europe to a fiery accident near Green Bay, he searches for a father who is likely dead, digs for meaning where he's sure there is none, fires off suicide letters to family, celebrities, presidents, and football stars, and lands in a hospital bed across from a priest who believes that Rimberg has caused a miracle. This funny, moving novel asks us to consider the nature of second chances and the unexpected form that grace sometimes takes. GEOFF HERBACH is a cofounder of the Lit6 Project, a Midwestern literary group, and their project Electric Arc Radio, a literary tragicomedy, which is recorded live and airs on Minnesota Public Radio. Visit him at TheMiracleLetters.com.